Customer Support Excellence Award at Cummins Generator Technologies, Stamford, United Kingdom as part of TCS team. Provide details of your job experience, name of post, months/years. Your advice to fellow working professionals who’re preparing for upsc simultaneously. Never compare yourself with people who are fortunate to study dedicatedly only for the exam. Your work experience will play a major role in your mains exam as well as in interview. This might sound silly… but do not reveal your preparation to others in the workplace, especially, if your current job is the back up plan for you. Also, letting more people know will create a virtual stress on you to perform. Avoid it. Plan properly to take leaves. Whatever time you get for studying ( it may be as low as 2 hours per day), use it effectively. My father is a retired Additional Commissioner of Customs and Central Excise . My mother is a teacher turned housewife. My brother is a Software professional in U.S.
My sister-in-law is a software professional turned housewife and most importantly my niece Miss. Joanna aged 2. Family has been of great support to me during the entire examination process. They provided the motivation and relaxation required in the preparation for the exams without which this might not have been a possibility. Cleared Written for RBI Assistant 2012. First of all, my father, Mr. Augustine Manohar was the source of my inspiration and motivation. His sheer excellence in work and the hard work that he showcased in his life and profession along with honesty helped him to grow up higher in ladder. Secondly, as a part of life of any IT professional, I got an opportunity to work from United Kingdom for my company. It was during this stint that I realized that earning any amount of money will never give the satisfaction. I have always wanted to become a IAS/IPS and I was not happy with what I was doing. After 14 months of work at Onsite, I decided that it is now or never. Outside Delhi, it’s hard to dig how to prepare for civil service. So How did you gather the necessary information / strategy / booklist? Here I would take the opportunity to thank Mr.Shankar and Mr. Vinoba from Shankar IAS academy for providing the necessary information and strategies. As a working professional, it is very difficult to get time to study and even if I had to study, it was required that I studied those things which were relevant. 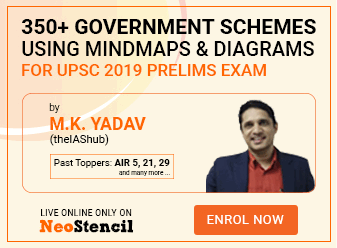 In addition to it, websites such as upscportal, mrunal along with the inputs of experienced candidates helped me in arriving at proper strategy for the exam. There was couple of things that helped me to maintain the study-momentum. Necessity drives a man to perform wonders. A rat mostly wins the race when the Cat chases. It is because; the cat runs for its food whereas the rat runs for the life. I knew this might be virtually my final full fledged attempt by which I compete for the exams else it might not be a possibility as I had to decide upon my career for life. Unfortunately, In 2011 Steve Jobs died and his speech in Stanford University came up in all social networking sites. The following lines really motivated me to carry on the momentum and the mood swings. Ans. To speak the truth, I really didn’t notice the hours that I studied per day. I studied whenever I got a chance. So approx. it may be around 10-12 hours effectively. It doesn’t depend upon the quantity of time spent, it is simply the quality of time spent. Use time effectively. Ans. Optional 1 : Geography : Started preparation for mains in June 2012 and completed in September 2012. Hence, around 4 months. Optional 2 : Geography : Started preparation for mains in June 2012 and completed in September 2012. Hence, around 4 months. GS: Started preparation from Jan 2012. Decision making No books used. Comprehension and decision making will only come by practice. Read the editorials in newspapers regularly and try to arrive at a conclusion on your own. Critically analyze and arrive at your own conclusion before reading the conclusion of the article. This helped me a lot in my decision making. mains Books referred for Pub Ad ( Optional ) and PRS Bills website. There are 99% chances that questions in the exam will not come from what you have studied. So, get ready to face the unexpected. Focus on eliminating the wrong options rather than choosing the correct options. Attend many mock test series and evaluate yourself and concentrate on the weak areas. Read the subjects very comprehensively. The capability will not be tested on how much deep you know about a particular issue, but it will depend on how comprehensively you are able to express the details. Put google/bing search to the maximum use. Don’t study in exam point of view, just do things which will help you to gain knowledge. Don’t get startled on seeing the mains GS paper. Questions will be vague, but if you concentrate properly, then you will be able to recollect and fill up the pages with information. ans. I had planned to wait and watch the first new pattern of exam. So if I had to write again, I would have waited for 2014. My first option was Public Administration. Paper I – Mohit Bhattacharya, Fadia and Fadia, Lakshmikanth, Shankar IAS academy notes. Paper II – Lakshmikanth, Indian Administration by Avasthi and Avasthi, Shankar IAS academy notes for Second ARC, State centre relations. My second optional was Geography. Paper II – Khuller, Shankar IAS academy notes, NCERT XI, XII. All current affair related topics for both Pub Ad and Geography were noted down. Linking those current affair with the concepts in the subject gave me much more clarity. For both the optional, I practiced writing many mock exams and had one to one discussion with the concerned guide. Their inputs helped me shape well for the mains examination. Instead of two, now UPSC will have only one optional subject. So if you were to give Mains 2013, which optional would you keep and why?And what will be your strategy / approach / booklist for it? Ans. I would have taken Geography. Booklist – As stated above. I had equal liking for both Public Administration and Geography, however, I would be more successful in expressing the Geography contents (diagrams etc.,) and hence would opt for the same. I had taken HINDI as my regional language paper. It had been nearly 10 years since I wrote Hindi. So I had to spend at least 2 hours practicing the same. I had purchased couple of books from flipkart for writing practice. Just previous year question papers. I had solved a couple of paper just to gain confidence. Preparing for mains optional subject itself gave the foundation for writing essays. However, in addition to the content, I practiced on writing couple of Essays for gaining confidence. Managing work and home – is the Indian working women getting a fair deal. Introduction highlighted that working women have not been getting a fair deal. Ans. I had attempted for the civil service exams in 2010 with Public Administration as Optional. It was a turning point in my IT career and I could not balance work and studies. I had nearly 12-14 hours of work in office and couldn’t manage the studies at home. This time, I had moved to a higher role and a lighter one too, which gave me ample amount of time to study. I had also utilized my leaves accumulated in order to give a full thrust to the studies. Many aspirants have the (unnecessary) fear of interview, thinking that “my profile is not good because I’ve low score in class 10/12/college/ I’m from unknown college, I’ve no work experience etc.etc.etc.” What’s your take on this? Profile is an important part of the interview. Whatever profile you have, prepare well for it. There is no point in feeling bad about your low scores or lack of work experience etc., , instead concentrate properly on your positives and have a reasonable explanation for your low scores/lack or work experience. How much portion of your interview (in terms of minutes and no. of questions) was centered around your profile? Did they ask any uncomfortable question from your profile during the interview? Aren’t you disloyal to your organization after 6 years of service. With the salary that you are getting, you can start a NGO and do service to the people. Why do you need IAS for doing good to the people. I had couple of backup plans. Either it was to continue my career in IT or to join Bank of Baroda as a probationary officer. My family has been of immense support to me during all the stages. My parents, Brother and Sister in law and my niece provided the motivation to write the exams. Special Thanks to my Friends, Mr. Arun, Mr. Anand Danny, Mr. Bhoobalan and Mr. Ramunujam for their constant encouragement at all the stages of examination. For my profile, I jotted down all the possible questions that could be asked and tried preparing proper reply for the same. For current affairs, whenever I read any article in the newspaper, I used to generate a precise content of the same and try to talk out in my room as if I was in the real interview. 1. A IAS in his initial career will never get the salary that you are getting now. Can you please justify why you still have opted for the services. 4. What is meant by Dumb Charades? 5. Is it being used by special people? In case the power and authority from IAS are removed, will you still be willing to take up IAS. How will you as an administrator improve the services for the people? Why don’t you start/join NGO instead of opting for IAS. What is the difference between the service being provided by a product making company ( say soap ) and the service provided by you as an administrator. Give me an example of the issue in providing service to the people and use of Information technology to solve the same. Since my answer to the previous question was on improving the communication between people and the govt, the next question was , Give me a innovative idea of improving the communication between Govt and People ( both ways). Don’t you think you are disloyal to your company. What is/are your qualities that should impress us to take you into civil services. Difference between smart working and hard working. Since most of your answers are based on data collection, analysis and use of information technology, give me a solution for improving the communication without the use of Information technology. You are very interested in IT, however, your successor may not have the knowledge of IT, then won’t the system that you created become redundant? What are the activities did you do as an Events Organizer in college days. Mostly all the questions were in expected lines, though their degree might vary. Questions like being disloyal to the organizations were unexpected, however, my preparation and work experience helped me to handle it without exhibiting any stress. Never give up. This is not an event where the result will come out the next day. This will teach you how to be patient, handle criticisms and at the same time provide you the necessary motivation to continue studying. Don’t compare yourself with others. Put in your hardwork and leave the rest to the God. If you are successful, you have a message to share. If you are not successful, you still will have a message to share. Be positive. Understand your mistakes, rectify it and try again. And You can even say “no”, I’ll publish it without editing, unlike certain magazines hahaha. Ans. Yes, I was a regular reader of Mrunal from the stage of preparation of Mains examination. It has been of tremendous use to me personally as it has helped me clear my doubts easily. Keep up the great work and all the best. Ans. I had a weak foundation in economics and environment. Mrunal’s website provided the clarity in the concept which I could not find in any other books. With limited time availability in my case, this was highly helpful as it allowed me to understand complicated issues with ease. Hello Sir, I am planning to appear in 2015. And right now…i am concentrating on basics, ncerts newspapers etc. My doubt is I am facing problem in preparing notes from newspaper esp. ( Editorials), like important points and all.. Very Inspiring to read..! Congrats and Best Wishes..!! Very Inspiring Frank. Keep going. Wish you all the very best!! It would be really helpful for my preparation. Congrats on your suceess!!! Can u share some of ur hand written notes of GEOGROPHY or GS as it will benefit all of us!!! Kindly direct me about public admim. can you please guide me, is it possible to find Shankar IAS academy notes in delhi? sir in upsc mains exam, how many questions should be attempted to get through and toppers usually attempt how many questions? I am working for dr reddys laboratories,I want to write my civils exam in 2014,plz give some important sugestions. How can i crtack exam without leaving job? hello. I am in b.com 2nd year. I want to start my IAS preparation can anyone tell which books or topic with which i should start first. Congrats Frank….for your hard and smart work you have been paid….ALL THE BEST for your future..
thanks for sharing your experience with us .i am glad to know that……thankyou very much. congratulations sir, fo yo hard work. which i should start first. i want to know how to prepare sci-tec. 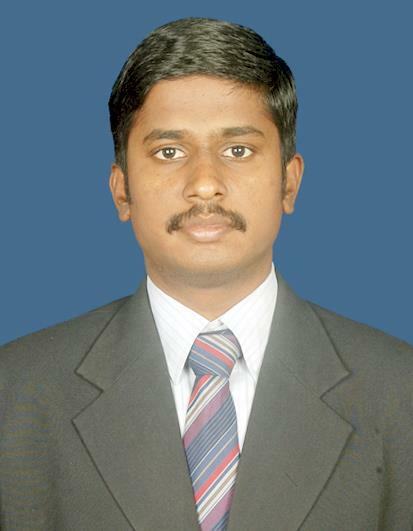 Pls guide through for I am also an civil service aspirant(IAS) and would like to go with public administration… Pls link me to the websites where u can find good lecture videos and als the good books to refer for my preparation….